In the previous article Talent vs Training I claimed that anybody can practice improving their ability to see interesting scenes and create aesthetic pictures. Recently I got a message complimenting that they liked my pictures, but unfortunately they don’t have a “photographic eye”. 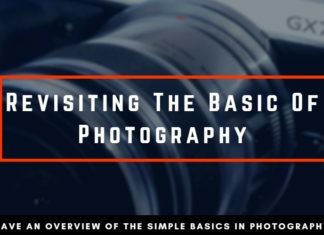 The following article is about basic aesthetic and their relation to photography. Before going further into detail what aesthetics means in the photography world. Let’s have a look at the dictionary definition. Judging from this definition, aesthetics could be subjective. In the end, we define what is beautiful and what not. That is only partially true in photography and in the following I will describe, why aesthetics are more objective than You may think. 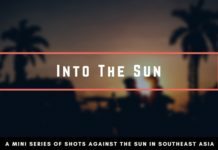 In the end, You will understand that photography rules, are not something You have to rebel against, but should seek in integrating them into Your photography. When we talk about aesthetic pictures we mean that some things are generally pleasing to the eye whether it be photographs, paintings or sculptures. 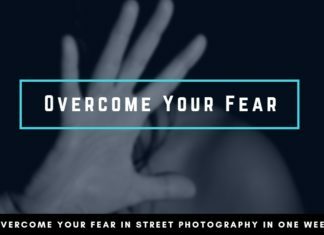 One thing that often happens when discussing the quality of pictures is, that people are self-conscious about their own photographic abilities and therefore think they can’t judge a picture. In my opinion, anyone can evaluate a picture and express whether they like a picture or not. You don’t need to be an expert to convey your own views. The difference between a photographer and anybody else is not their understanding of beauty, it is that the photographer should also be able to explain why some elements are pleasing. The understanding of aesthetics is ingrained in everybody. 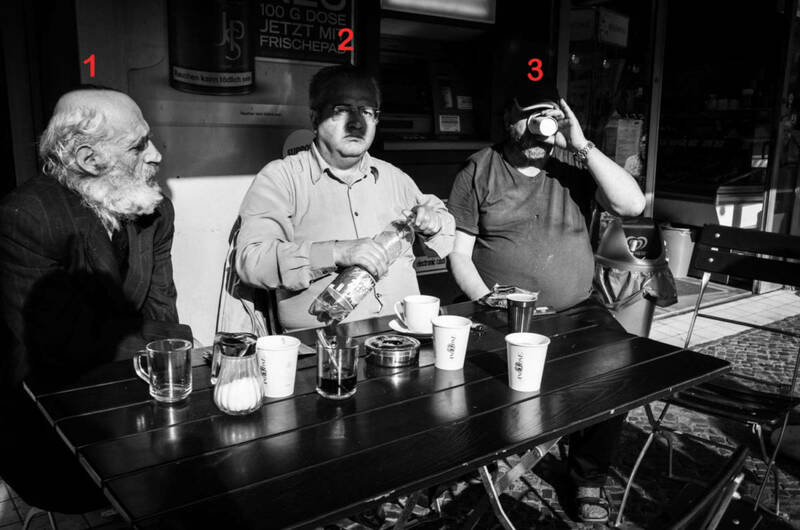 Anyone can see them, but only few can actually analyze a picture and are able to explain the compositional techniques to create a beautiful picture. These techniques have not been “invented” by some expert painters, but were discovered even in a lot of disciplines. For example, the golden ratio is not only of importance in photography or paintings but also in architecture, mathematics or even in the arrangement of flowers. This means we can apply some of these universal rules to create pictures that are visually on a level, that every human being will find aesthetic. 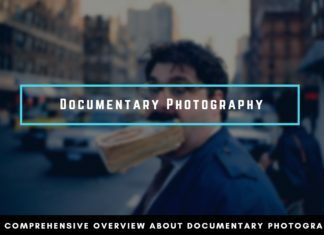 What Does Aesthetics in Photography mean? Aesthetics in Photography come from different sources. It can be the style, of the content, or simply the post-processing of the picture. 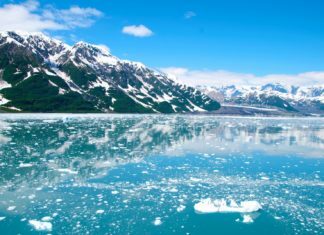 For example, a very sharp picture is often perceived as more pleasing to the eye, than a slightly out of focus image where parts of the photograph are not sharp but shouldn’t. This confuses the viewer and disturbs the harmonic view. To my surprise, when I traveled through Southeast Asia, the images didn’t look really different from our European taste. Especially when looking at the current style of wedding photography, there are huge similarities. Some trends are now spreading globally through the use of Social Media. But basic aesthetics are no trends. 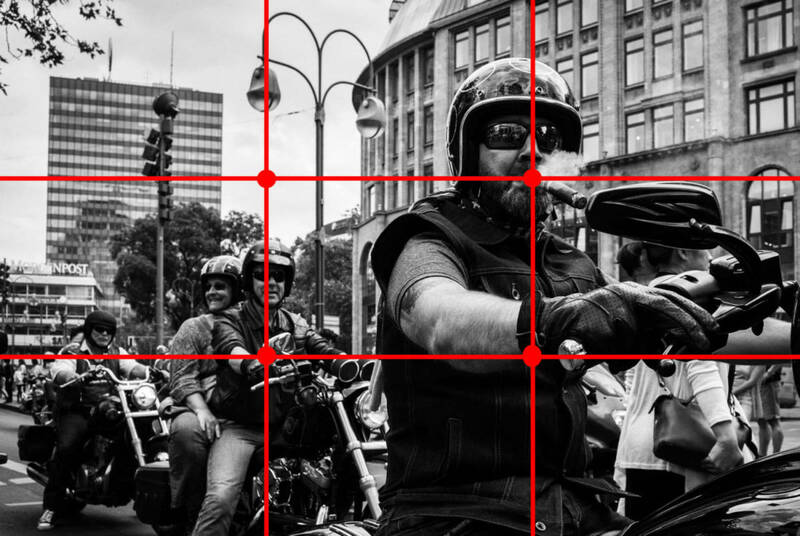 The Rule of thirds doesn’t go out of fashion. When we talk about aesthetics in photography, we speak about rules that are here to stay. That are globally applicable and understood universally. The viewer’ eye automatically gets lead by lines and other geometrical figures. 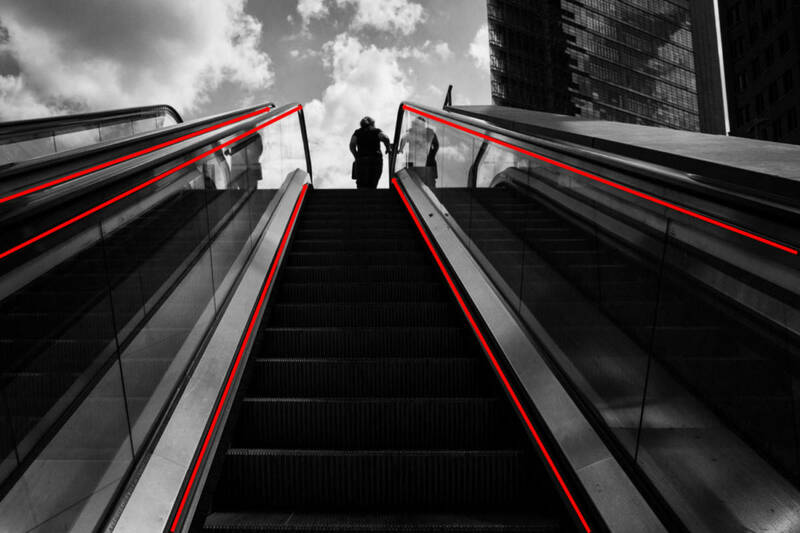 Leading lines help to put an emphasize on the subject and put him in the center of attention. If the natural eye movement can follow these lines and ends up on the subject it gives a very harmonic impression. Otherwise fighting against this flow can be very stressful. 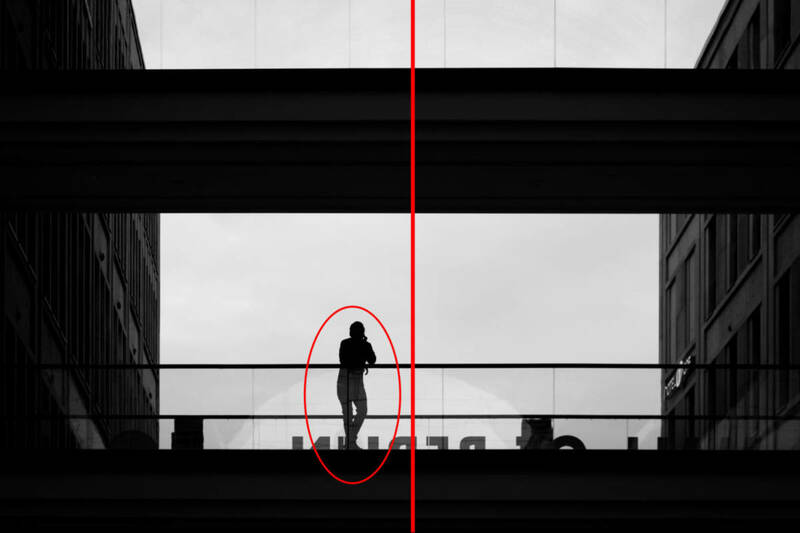 Often known as the golden ratio the rule of thirds is an approximation and divides the image into three areas. It is often more pleasing and creates aesthetic pictures to place the subject slightly off-center. This is not only meant in a horizontal aspect, meaning from left to right but also in the vertical gradient from bottom to top. This leaves us with four intersections (top left, top right, bottom left, bottom right) where we want to place our subject ideally. 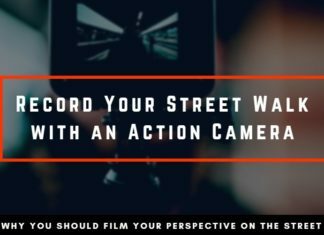 In Street Photography using the top coordinates allows us to show more from the subject, making them the preferable points to focus our attention. Geometrical symbols help to control the flow of the picture. They build basic frames for the viewer to follow and create some dynamic movement because symbols like triangles or circles aren’t a dead end. The picture above already shows an example of three subjects that form a triangle. But not only three subjects are pleasant for the viewer, but also 5 or even 7 points of interest can increase the aesthetic value of the image tremendously. The psychology behind this odd rule is, that even subjects are easy to organize or to be paired (2,4,6 etc.) and this is an uninteresting task for our brain. Having a symmetrical picture is a nice achievement, but yet again a picture that is 100% symmetrical is too easy to comprehend. In order to make it more interestingly, you can simply use a subject slightly off the sectional plane. The presented compositional elements can help you to create pictures that are aesthetically pleasing and you don’t even need to be born with an exceptional eye in order to see interesting images. Also, keep in mind that everybody has this sense of aesthetic. The difference is in being able to explain and recreate eye-pleasing pictures or paintings. Basic rules are also not an invention by some masterminds, but the codification of an easy way to create enough tension for a picture without being overwhelmingly chaotic. Having an aesthetically successful picture also doesn’t make it automatically great, but provides a beautiful framework to present the story.